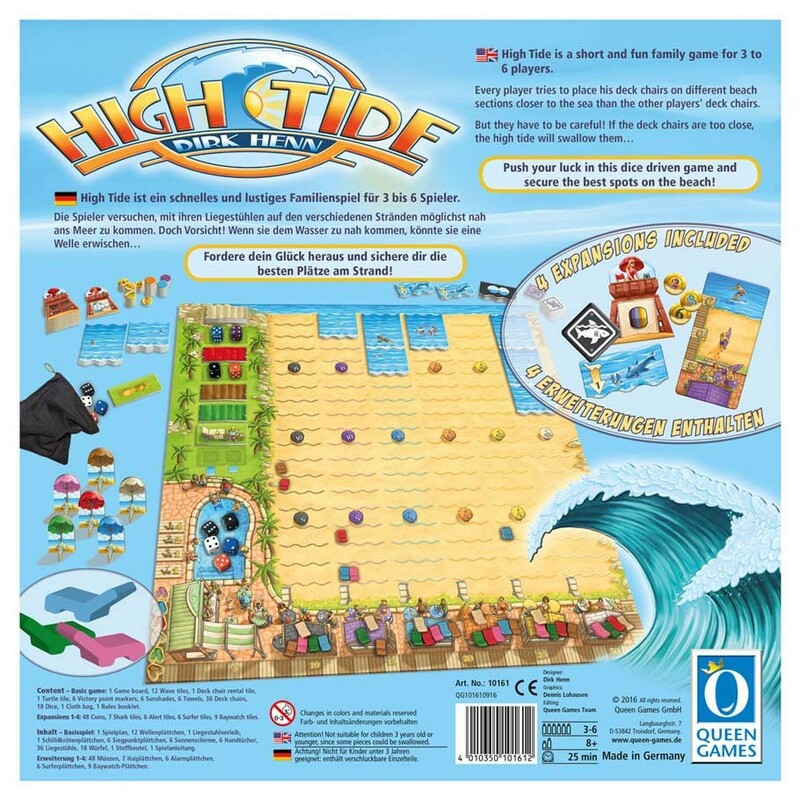 High Tide is a short and fun family game for 3 to 6 players. 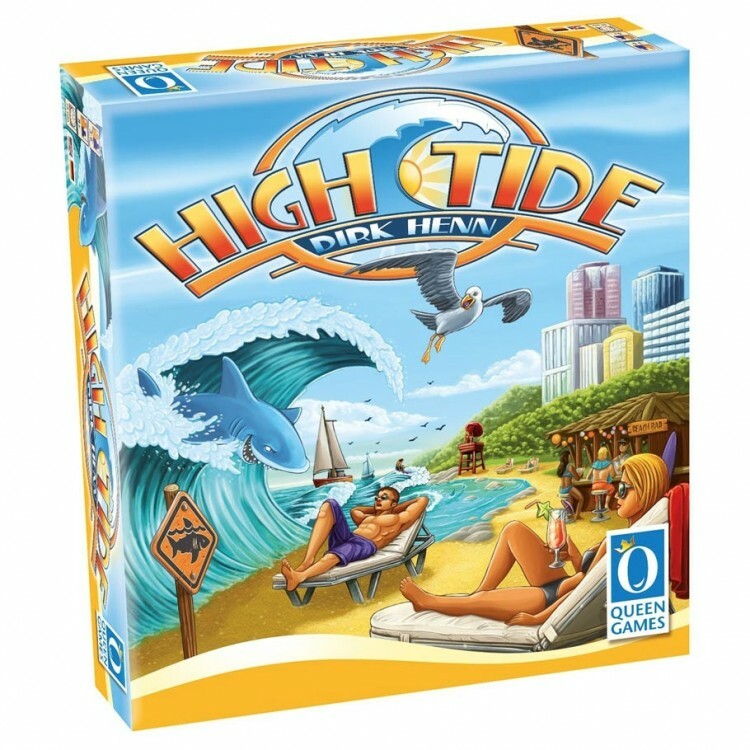 Every player tries to place his deck chairs on different beach sections closer to the sea than the other players’ deck chairs. 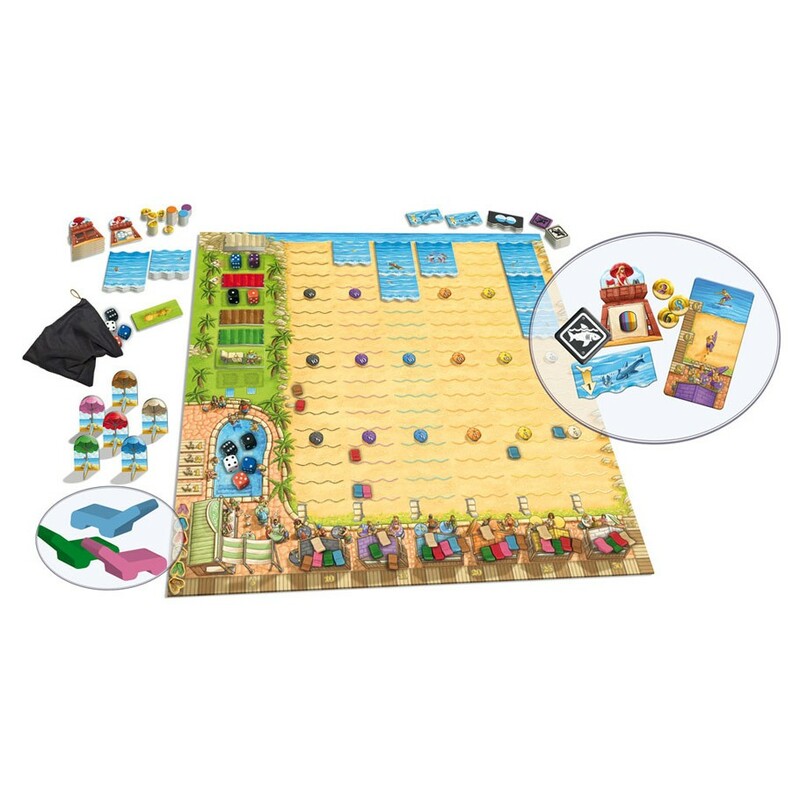 Push your luck in this dice driven game and secure the best spots on the beach!